During the past few years, many higher education institutions have successfully established Web-based learning environments where students can pursue their education via the Internet. In these types of environments the knowledge gained by the student depends primarily upon the quality and capabilities of the used software as well as on the didactical structure of the courses. VITELS (Virtual Internet and Telecommunications Laboratory of Switzerland) proposes a learning environment where real simulated, emulated and real laboratory experiments can take place via the Internet. Each VITELS project partner - four universities (Bern, Fribourg, Genève, Neuchâtel) and one engineering school (Fribourg) has developed modules in the field of computer sciences and telecommunications based on the own competences and equipment. The development of the course by different partners allows using the different available resources and the sophisticated technological knowledge and experience available at the various partner organizations. Today VITELS offers seven modules: Simulation if IP Network Configuration, Client/Server Concepts, IP Security, Firewall Management, Sockets and RPC, Remote Method Invocation. VITELS will be one of the first e-learning courses that get connected to the Swiss-wide authentication and authorization infrastructure lead by SWITCH. 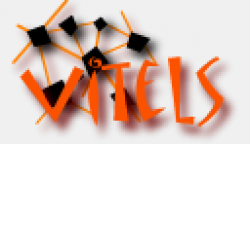 VITELS is a project of the Swiss Virtual Campus (SVC) framework. Benefit: VITELS provides a modular structured online course covering a variety of topics in the area of telecommunications and computer networks with a special focus on hands-on experiences.